Kit, the Foxy Sheltie ~ Adopted! Kit is estimated to be about 3-4 years of age. She needs some grooming, but she’s still stunning! Kit is very friendly and affectionate. She was transported from Alabama yesterday, so she is still decompressing a bit! We can see that she is a Sheltie, but many of us have said she is a fox! We will be providing you with more details about her shortly! The shelter says she is good with dogs, cats and kids! We have a lot of great photos of Kit, and you can see them on her Facebook page. Kit is in excellent health and is great with basic commands. She would do best as an only dog but we are not ruling out other possibilities. 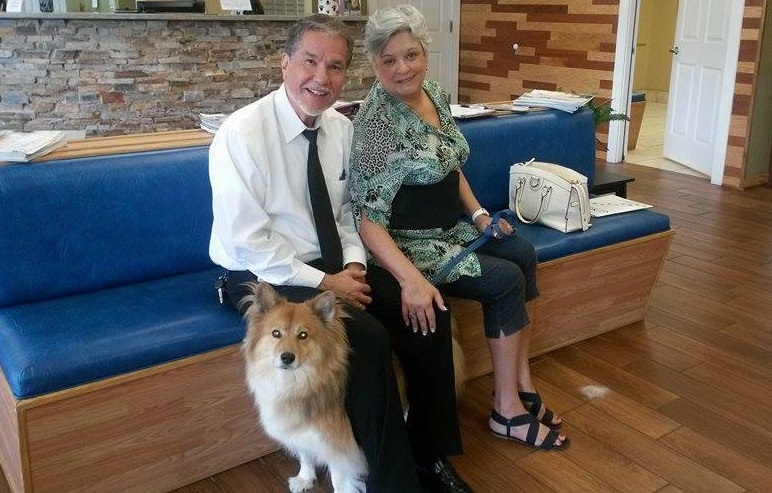 9/9/15 Update: Kit was adopted by the Colberts of Daytona yesterday. Deborah is planning on taking Kit to work with her, and on visits to nursing homes. Yay, Kit!